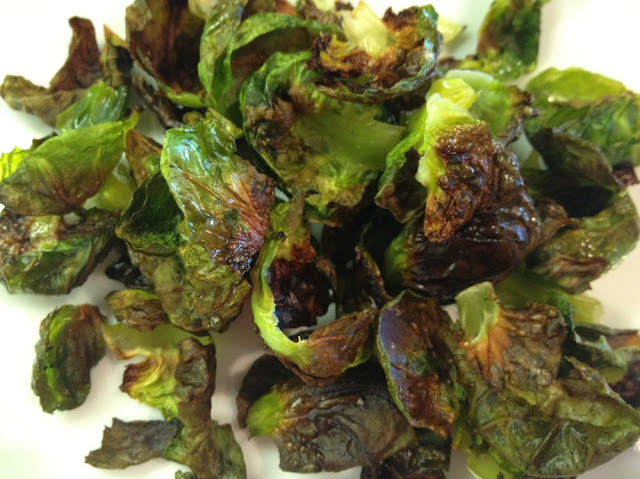 If you like brussels sprouts, then you will love this recipe! 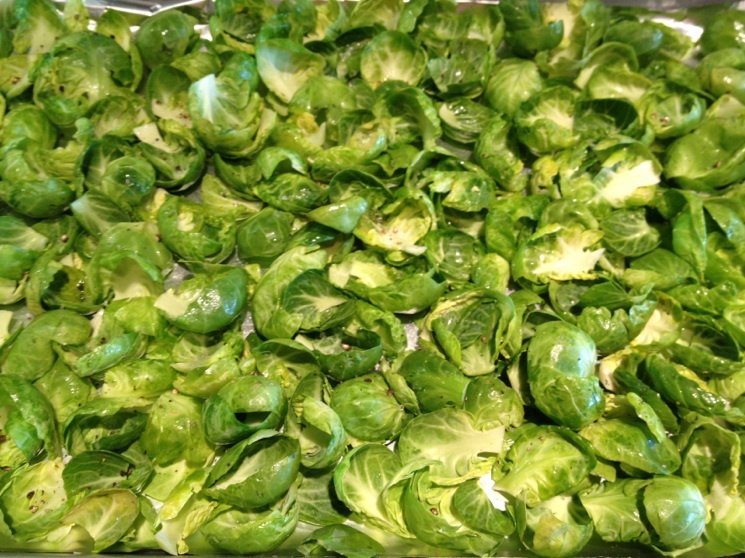 However, it was a rather tedious process removing the outer leaves from the brussels sprouts. It took me at least 35 minutes to do this but I think it was well worth it! Wash your brussels sprouts. 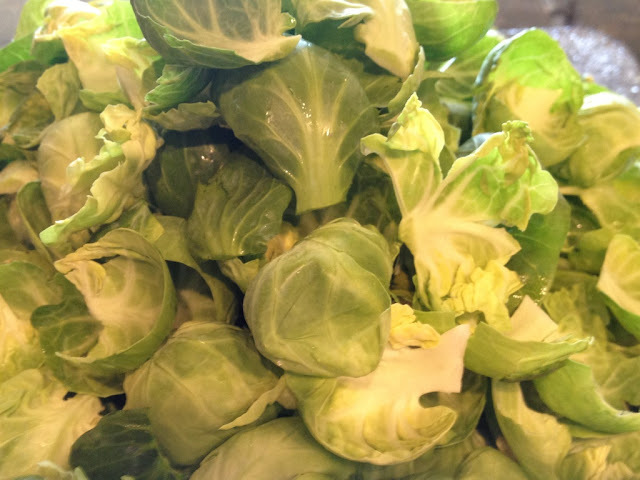 Then, cut off the stems of all the brussels sprouts and peel away the outer leaves until you get to the light green part of the brussels sprouts. Cover a baking sheet with foil and spray with nonstick PAM. 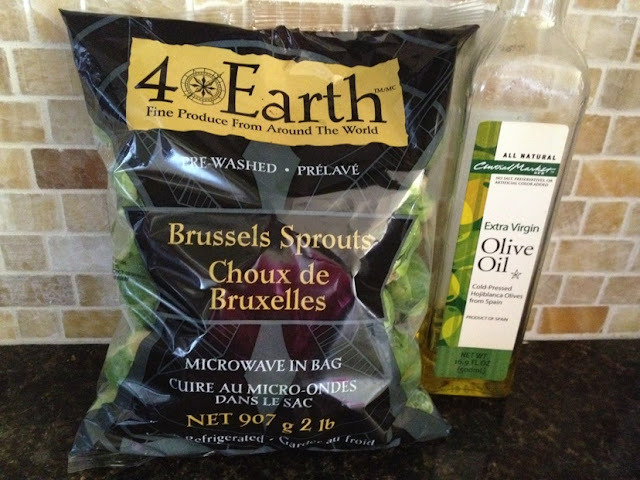 Add your brussels sprout leaves to the pan and toss with olive oil. I would guess I drizzled 1-2 Tbsp of olive oil over the sprouts. Lastly, sprinkle with salt and pepper. Cook for 10-12 minutes until crisp. During the process of cooking, the sprouts will turn bright green and then will quickly shrivel and turn a brownish-green. This is when you want to remove them from the oven! Do not let them turn completely brown so keep a close eye on them once they cook for 10 minutes!